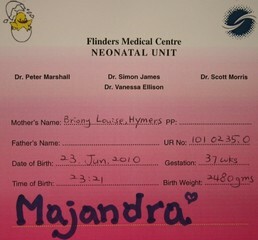 This BabyBlog is about our daughter, Majandra, born 23/06/10. 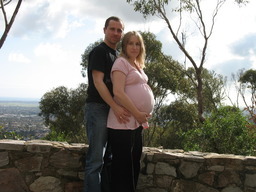 This BabyBlog attempts to describe everything right from the beginning of Briony's very smooth pregnancy, through to what turned out to be a bit of a surprise 3-week-early birth and extended hospital stay for Majandra. We've decided it's time to have a child. Briony's always been a bit of a pain in the arse in this area - she's been quite adamant that she doesn't want children, doesn't like children, and certainly doesn't want to be carrying a child in her belly. Lucky I'm such an awesome sales person - I think they need to invent a new quote in my honour. Forget "he can sell ice to Eskimos". How about "he can convince uninterested wife to bear child". Legend. 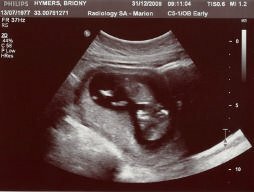 So anyway once Briony started showing the first signs that perhaps I could convince her to have a child, we were straight on it. Not "it", but the work beforehand. Getting her cycle dates sorted out, going to the chemist and purchasing a thermometer so we can plot her temperature, helping us work out which day(s) she'd be the most fertile. We stuck with this for perhaps 1-2 months, just to get a feel for the situation. Once we'd sussed it out, next came "it", and might I say the pressure was on. There's normally no problem in this department, but with the pressure on and the audience watching, it's bloody hard work. I crossed the finish line a little late, but at least I finished the race. From that point forward, we just waited until Briony's next cycle date to see what would happen. She was a day late. Then two days late. The comment "I'm never late" came from Briony's mouth at one stage. 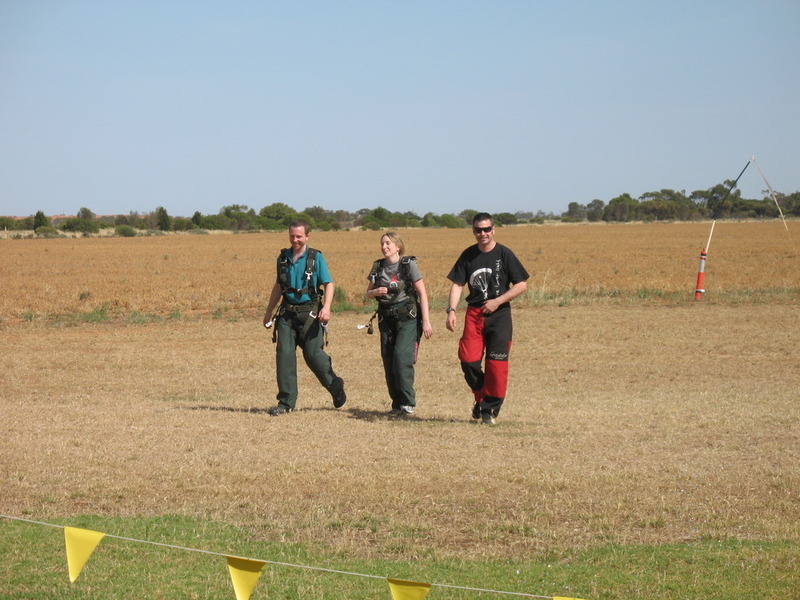 But of course we're also thinking "surely not first try!". We grabbed a pregnancy test kit, and what do you know - we've been blessed with good fortune and Briony's started cooking a little Briony or a little Callan. Scarey stuff, exciting stuff, but at this point in time it's more imagination than anything. At this time we also worked out that when quoting the number of "weeks pregnant" someone is, it's not from the date of conception but rather the date of the last period. So therefore, we've just found out we're pregnant, so we're officially at week-four-and-a-half. 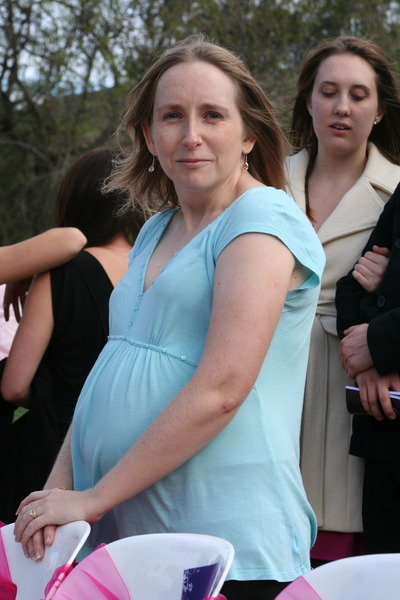 During this time there really wasn't a lot going on for me, apart from "hey, she's pregnant, cool!". About the only thing that happened in the next two weeks is we went to the supermarket to see what sort of pregnancy supplements are available. And to this date, Briony still claims they taste awful and make her gag, and so she doesn't take any. And of course at this early stage, we keep the good news to ourselves. 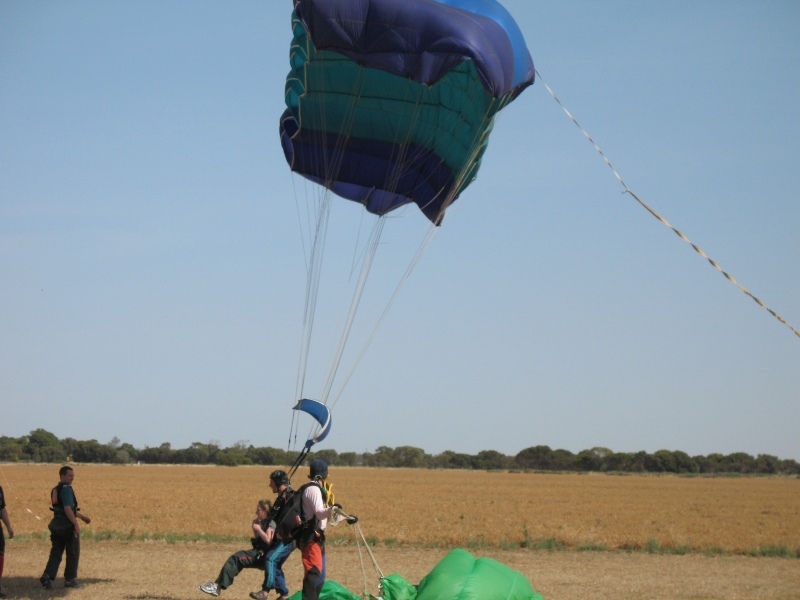 For Briony, there's heaps going on. I'm trying to think about exact timeframes, but since Briony's so slack and hasn't kept a blog like I told her to, it's a bit hard. Mental Note - don't rely on the wife for anything, especially while pregnant. Her appetite has changed, she seems to be eating LESS at meal times (but more random stuff throughout the day). She's gone off certain foods, can't stand even the smell. She's not scoffing chocolate any more. Briony's feeling a bit sick. They call this "morning sickness" but from what she tells me, it's all day, not just in the morning. She's stocked up on these vita cracker biscuit things, and then decided she can't stand them, and apparently I have to eat them all (7 packets). So really things are going fairly smooothly, Briony only vomited once from the "morning sickness" problem, she's doing really well and still riding her motorbike to work. Briony's getting a little bigger. The belly isn't so much a bump, rather just poking out a bit and it's all hard. Really hard. 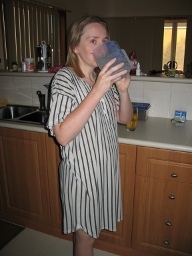 The morning sickness isn't so bad now, and Briony's getting used to the whole idea of being pregnant. She is complaining, however, that some of her clothes are getting tight and she won't be able to wear them for long. 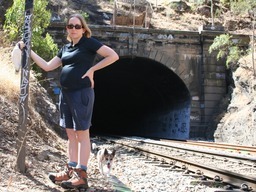 Briony's afraid that she may have to degenerate to that of a Mawson Lakes resident, and wear (gasp!) Track Pants! We've told our families, and I've told my workmates. A few of our close friends know, but Briony still hasn't told the people at her work. 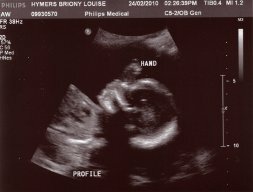 On New Year's Eve we went for Briony's 12-week scan, and I can really only describe that as an attitude-changing moment, perhaps a life-changing moment. This was the day where everything became a little more real. We're in the room, with Briony laying on the bed and there is a doctor called Jimmy squeezing gel all over her belly. He's poking around with the ultrasound machine, measuring and checking and doing his stuff. 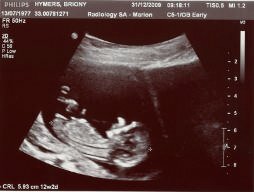 On the screen we're seeing images of our baby, and it's got the definite baby shape even though at this stage it's not much bigger than a strawberry. Technology certainly is amazing. 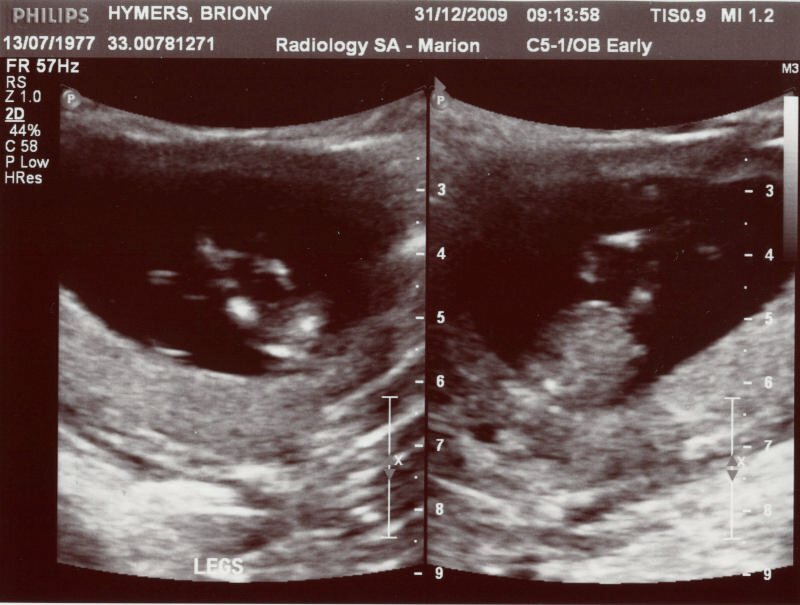 We saw its heart beating (really fast), we saw arms and legs, and we saw it move while the ultrasound was on it. That was kind of the moment for me, bloody awesome. Oh, I'll never forget one of the comments that Jimmy's supervisor made. She was in the room doing some checking, pressing really, REALLY hard on Briony's belly with the ultrasound. They were apparently checking that the nasal bones were forming correctly. Now, I'm forever giving Briony hell about her hooter (nose), as it has quite a distinctive bump. It's a beautiful bump. but something I love hassling her about. So you can imagine my delight when the doctor is scanning for nasal bones, and she says "and we can see baby has quite a prominent nose". 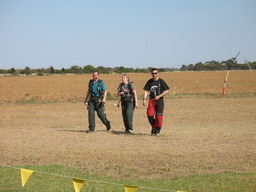 From that day forward, I have something else to hassle Briony about :-) but all in good taste and good fun. Not much new stuff to report this week. Oh, I should mention that this "timewarp" blog has caught up to present day, so I can start writing things a little more accurately now. Briony's feeling better from the morning sickness / all day nausea problem, but that's been replaced with some occasional pain in the belly area. I obviously can't appreciate what it's like, all I know is she goes running off to bed and makes me rub herr back, the same as back in the old days with period pain. Same pain, different cause. Briony's eating a lot better, her blood test came back all OK which is great news and really sticks it up those people that say that vegetarians don't get enough nutrition. I've noticed Briony starting to cluck and carry on a lot in the last couple of weeks. Remember at the start of BabyBlog I commented that Briony never wanted children? Well this has all come a complete circle - she seems genuinely excited about the prospect of a child, she's looking all all the baby forums online, looking at the baby stuff in shops, and looking on eBay for baby purchasing opportunities. Sunday just gone was baby shopping day. We went to Baby Bunting, which is a new shop about 15 minutes from home. It's one of those big "warehouse" style shops, where there's a million products, heaps of customers, but not many staff. Nice to look around though, they have so much stuff. I told Briony I wanted to go shopping at BabyCo, a smaller shop that's been in the same place forever, it's about 5 minutes closer to home too. I wanted to shop here as I'm a fan of supporting the local business rather than the shiny new shop that drives the old ones out of business. We went to BabyCo with neither the intention to buy or not buy anything. Just have a look, see what's there and grab anything we think is appropriate. We got talking with one of the shop assistants who was absolutely lovely. 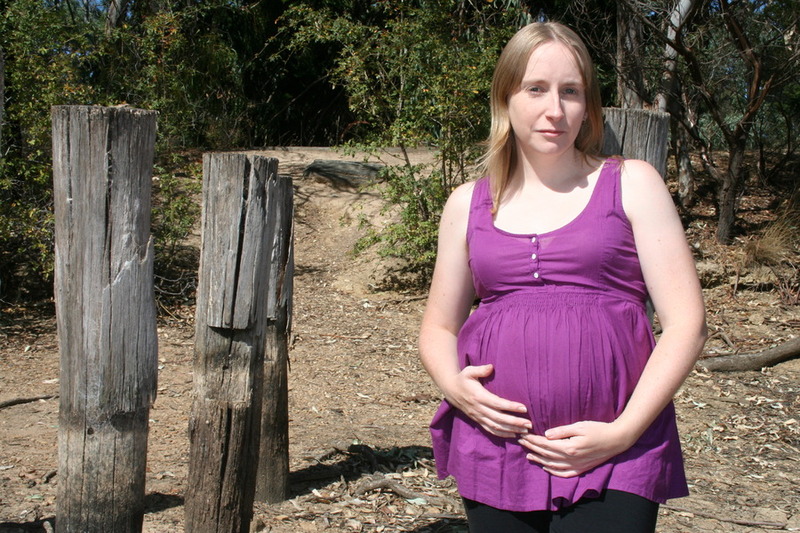 She was 6 months pregnant herself, only 19, and from England. She was really helpful and honest, which we appreciated. They had come cot beds on special, so we got one. And a matress. And a bassinet. Since we were there, and getting a good deal, and the shop assistant was awesome, we grabbed some nappy buckets and I commented to Briony that if we're getting such a good deal today perhaps we should look at a buggy too at which time the sales girl pointed out the Beema Q. All up we spend just over $1050 there which is awesome considering we got a cot, matress, bassinet, buggy and more. Plus the added bonus that we have now got most of our big stuff sorted out, which should hopefully avoid having to spend every single weekend hunting around the baby stores! Briony's all excited as it's Target's "baby special" day, and there are actually some really good deals on baby stuff. So Briony's heading down to Target at 9am sharp with her boss from work - their mission is to collect a high-chair, a rocker seat thing, a nursery bag and a few other things. 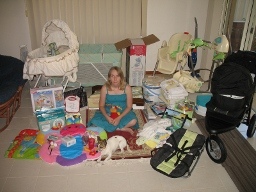 No doubt they'll find a bunch more stuff to get, and the car will be stuffed full of baby merchandise. Ha, I'm having visions of this mega sale ... 8:30am and all these insane pregnant women lining up ready to stampede to the baby section of Target. I'm imagining them swinging giant handbags at each other, trying to get their hands on all the sale items before the other mums snap up all the bargains! Oh, and this morning Briony confessed that none of her pants fit any more, and when she wears her jeans she has to do so with the button and zip undone. Time for some new pants! 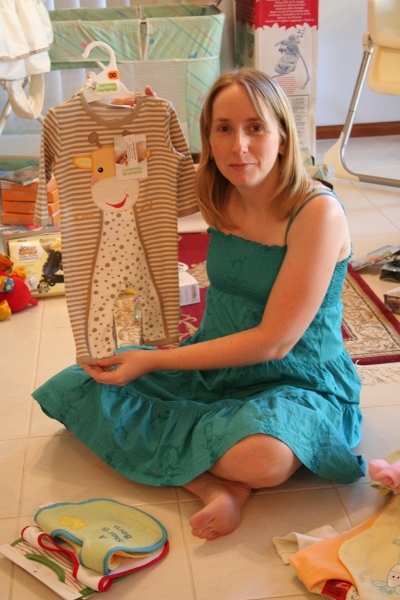 This week Briony formally did her big announcement on Facebook. We'd held off until now, while we told most of our friends face to face. People sort of expect that, and of course if someone finds out from Facebook rather than personally, well it looks a bit rude. So with most of our friends taken care of, Briony made her post and within an hour had a flood of replies, or comments, or wall postings, or whatever those things are in Facebook speak. Briony's belly is now officially looking like a bump. It's really quite lovely. All her trousers are worn with buttons undone, there's just no point even trying to wear them normally. When she sits down I can see the bump popping up. It's exciting! We had a discussion today about Briony's lack of maths skills. Last night I was going to read some of our "Up the Duff" book, and Briony gave me the obligatory quiz - "what week am I in now? ", obviously expecting some sort of vague answer. I said back straight away "week sixteen". She instantly retorted "no, week fifteen". I left it at that, but today I double checked and we are definitely in week sixteen. We haven't FINISHED week sixteen yet, but we've definitely finished week fifteen so therefore that means we have to be in week sixteen right now. I've also written all the dates down so I can't lose track. 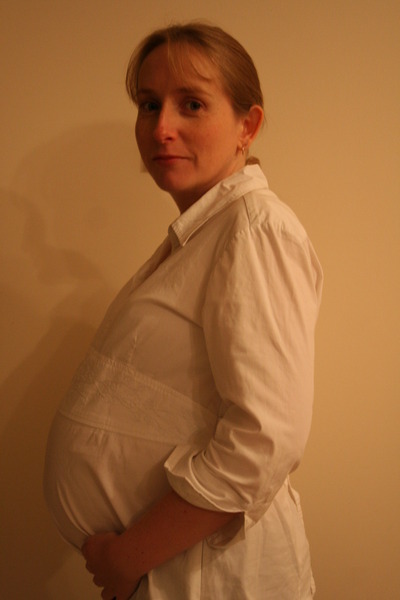 Briony's body is continuing to change in order to give the baby a comfortable accomodation. As things move around and get bigger, it causes Briony a bit of pain or discomfort, but from what she says it's not generally too bad, just mild discomfort. If this is wrong I'm sure she'll correct me (possibly by yelling). Briony's finally given up on the jeans and trousers. 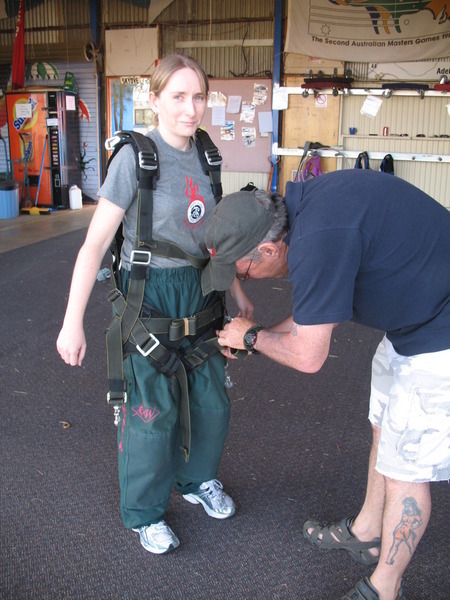 After four weeks of wearing pants with the button and zip undone, she's decided that perhaps it's a good idea to get out the maternity gear that was kindly donated by a workmate. Of course "maternity gear" really is just a fancy word for "tights and a frock". But I have to admit they do look kind of nice, they seem to fit quite well, and Briony's a lot more comfortable. We've also realised that both our brains have turned into mush. All we talk about with each other is baby. When Briony gets up in the morning, the first thing we do is look at her belly. When I ride home from work and she walks the last 1Km with me, we talk about baby stuff all the way. Maybe it's because things are changing so quickly and there's always something going on - a present from a friend, a funny comment from a workmate, something cool in the latest shop catalogue etc. But I'll still promise myself this - while I might think and talk baby (hence this blog! ), I won't become one of those annoying people that dribbles baby stuff to friends all day, while the colour drains from said friends' faces. 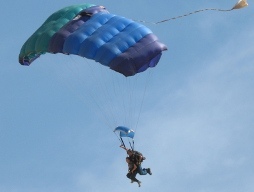 If I turn into one of these undesirables, please open the window of my tenth-floor office and ask me to jump. 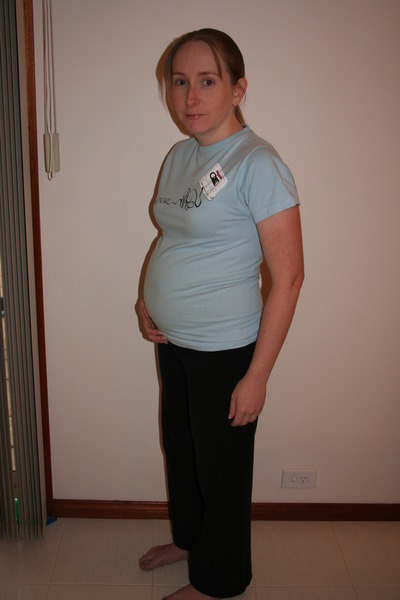 What else has happened this week .... oh yeah today Briony looked up "size of belly 16 weeks pregnant" on Google. Some of the results were a little inconsistent. Some women have really big bellies, but some other women's bellies are practically flat. I guess everyone's different, but the "flat" ones still astound me - how can your belly be anywhere near flat given you're almost half way through the pregnancy? Half way through, bloody hell, in another 3 weeks we will be half way through. That's certainly gone quick, I have another 20 weeks to play up and go drinking with the lads, then it's all over! 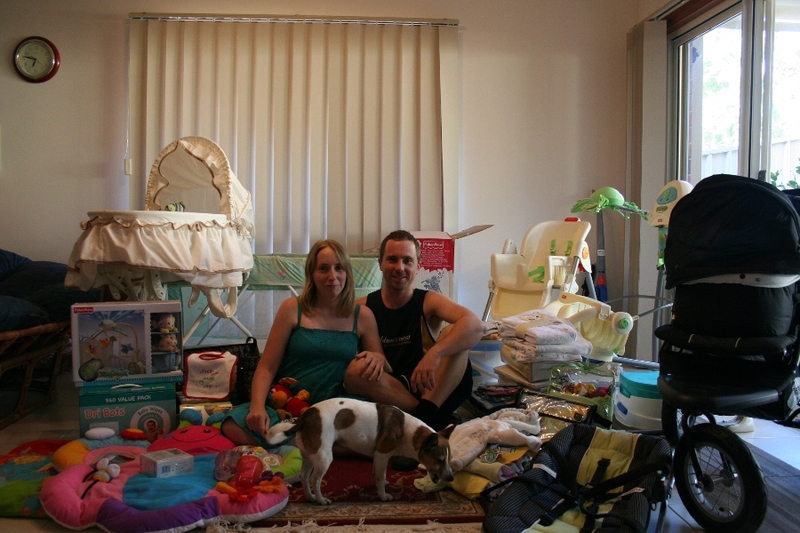 I haven't done a blog entry for a few weeks now, I've been busy doing all sorts of things at home, all the stuff that needs doing before the baby arrives - cleaning the carpets, getting rid of old stuff for a garage sale etc. But I must confess there's been quite a lot happening in the last three weeks! 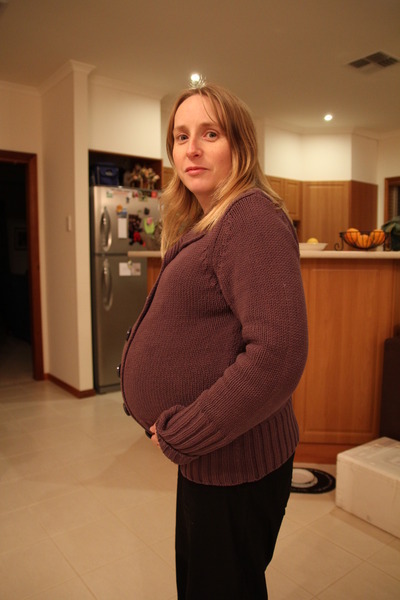 It's pretty obvious that Briony's getting bigger, hell, she's now twenty-weeks pregnant! 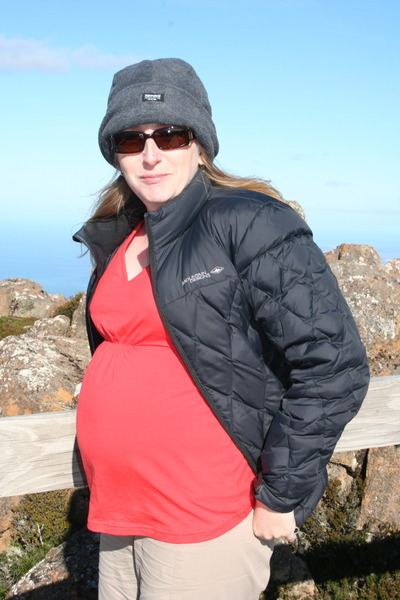 Looking at the photos we've taken along the way it's interesting to see the shape of the belly change from being a little podge to being a distinct circular shape. 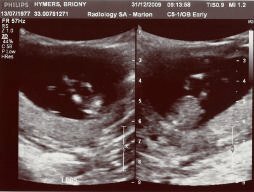 Also the uterus changes shape and position - I can't really tell from looking or touching, but Briony says it changes. And there's two big news items! 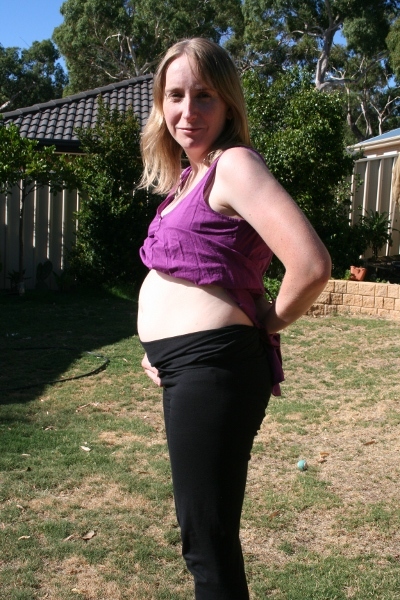 The first is, about 3 weeks ago Briony felt the baby kick. She described the feeling like a little "pop" inside the belly and she really wasn't sure if it was kicking or not. At that stage it was really soft, but surprisingly when I put my hand on Briony's belly I felt a little push from the inside. Amazing! It was very gentle, but it'll get stronger with time. Briony tells me that there's often a lot of kicking/pushing all through the day. I wonder if we'll have an active little child! 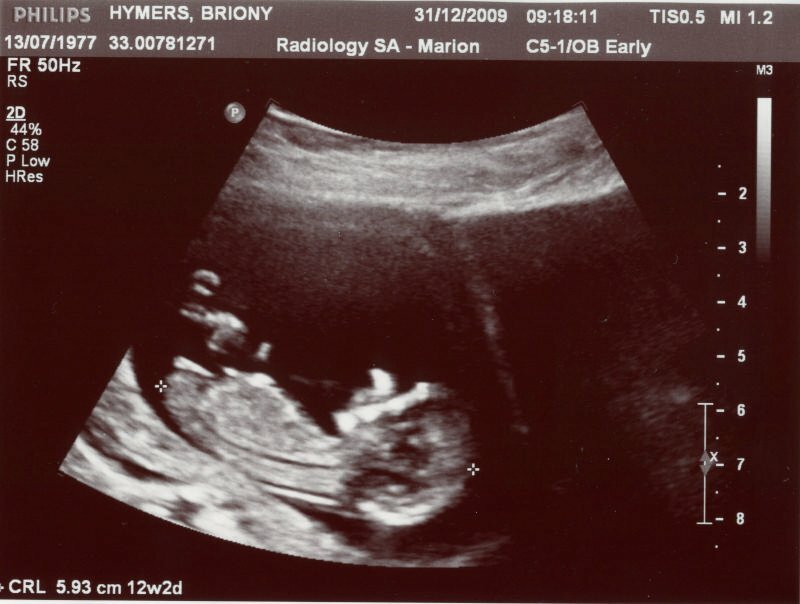 The other big news is that Briony had her 20-week scan on Wednesday just gone. The pictures we got weren't as defined as the first ones, perhaps because everything is bigger so we're just seeing a face, a foot, a hand, not really a full profile. Good news is that everything is looking healthy and normal, so we're thrilled at the progress. Oh, we're told it's a girl! We have't bought much new stuff recently, as we pretty much have everything we need. Briony's scored a stack of really good and clean baby clothes from Freecycle, they are all washed and ready for use now. 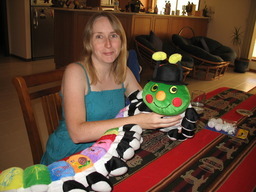 We did get one awesome gift from my parents - a really massive soft Caterpillar with the alphabet on it. But since it's so big I like to hassle Briony and tell her it's a Centipede! Our little girl has been fairly active over the last couple of weeks. Briony tells me she's been bumping around quite a lot .... some would call it kicking, but I refuse as it's just as likely to be a hand or an elbow or a knee, as it is likely to be a foot. So whatver you want to call it, it's been happening. 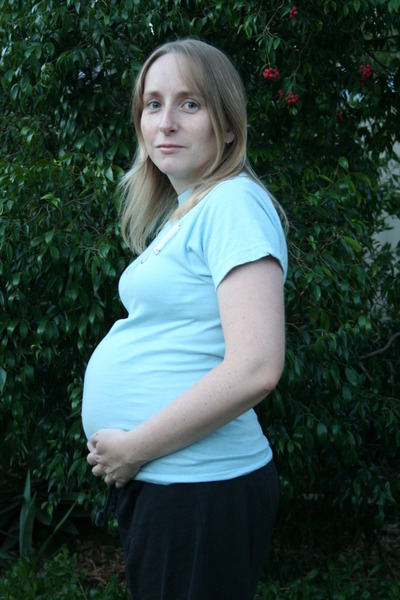 Briony also tells me that the baby has a bit of a schedule going on - it'll bang around at night, and bang around when Briony gets to work, but other than that she's often quite still, probably asleep. Oh, Briony did say the baby squirms around too, and that apparently feels a bit queasy. 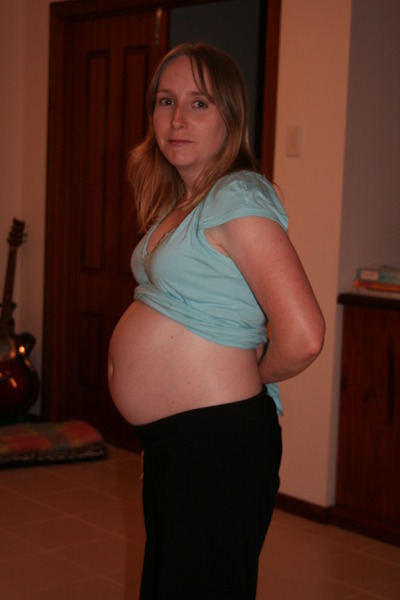 Apart from the obvious "Briony's belly is getting bigger" there are only a couple of things to report. 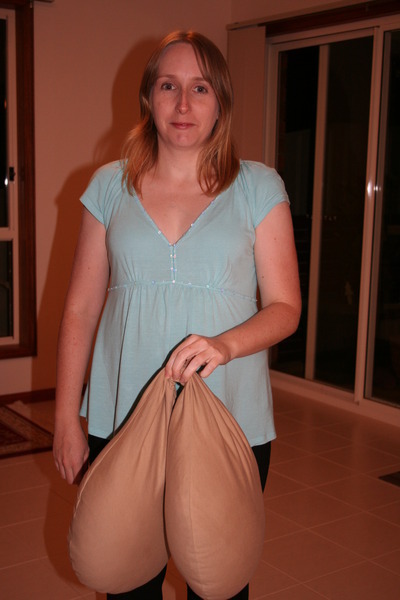 Firstly, Briony got herself a pregnancy support pillow. She whinges and complains every time I try to get a photo of her with "the balls" (that's what the pillow looks like), so as yet I don't have a photo. The second I do, it'll appear on this blog. Secondly, Briony's been getting some leg cramps and has a stiff back, so we have formulated a new nightly routine of a back rub and leg rub. I didn't like doing it dry as my hands would just rub on Briony's skin, but we've found the Aloe Vera Gel (that we got in Thailand) to work really well - just makes it easier to give a bit of a rub but without irritating the skin. We got rid of our Treadmill, and bought an exercise bike for Briony - that should come in handy through the winter, and Briony's a lot more likely to use the bike in front of the TV, rather than the treadmill that was downstairs. We've also booked into some classes - we have a birthing class coming up soon, plus of course the pre-natal classes at the hospital. Last week we went to a parenting seminar at the Womens and Childrens Hospital - it was quite informative, we learned quite a few things. It's been a few weeks since I did my last blog entry so I'm playing catch-up here. I think the delay conviently matches the number of weeks I've been giving Briony a nightly leg and bum rub. I'm just following logic here, but surely that means the hour a week that was reserved for this BabyBlog is now consumed by massage and rubbing. Today's BabyBlog entry is being crammed in on the train journey to work! So about this rubbing ... I did start this around week 23, specifically giving Briony's calves a quick rub at night to help ease leg cramps. The cramps have gotten a little worse, so I rub her calves for longer with the result that a good rub helps to prevent the cramps completely. I also give her bum/thigh a rub fairly hard, as apparently this good for keeping the bum looking good. 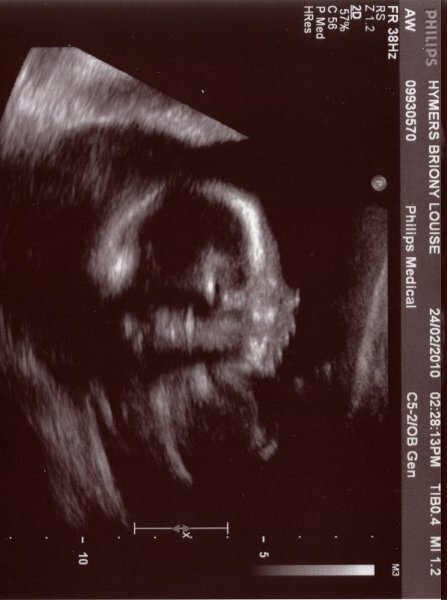 Our baby daughter is kicking and squirming around as usual! Briony calls the squirming "the alien" - it's kind of strange as I can feel the baby moving inside ... not bumping around, but rather scraping against the inside of Briony's belly. We both agree it'd have to be getting quite tight and cramped in there! Firstly, congratulations to two of my friends! 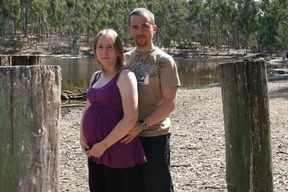 Firstly my boss Rebeca and her husband Andrew who welcomes their new son Zander. 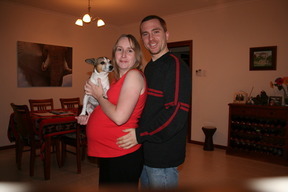 Also congratulations to our friends Melanie and Ben, who are now parents of Oscar. Anyone would think that it's baby season! So what about our baby daughter? 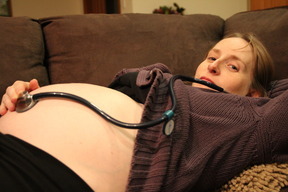 The other week Briony's dad brought a stethoscope up and I heard the heartbeat for the first time. It's really hard to find among all the gurgling noises coming from Briony's belly. The heartbeat is solid, but audibly quite faint. I had to hunt around for a long time to find where the heart beat was, and then press down quite firmly on the stethoscope. Then it's possible to hear it properly, beating very fast. It's lovely! Briony's beginning to get quite uncomfortable, for two reasons. 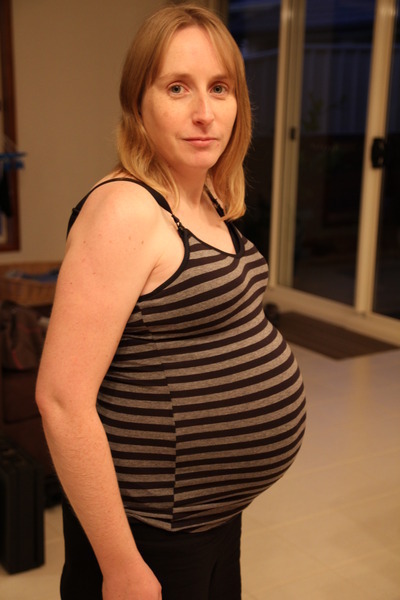 Firstly, the belly's now a massive ball, and our growing daughter is now almost 2Kg. That's a fair load for someone Briony's size to be carrying around. The "balls" described in the previous blog entry (photos coming, I promise) do help, but Briony's finding it hard to get settled at night and even harder to turn over in bed. Secondly, she's having some pain in her pelvis - probably a sign that the pelvis is separating in preparation for birth which is now only 9 weeks away. 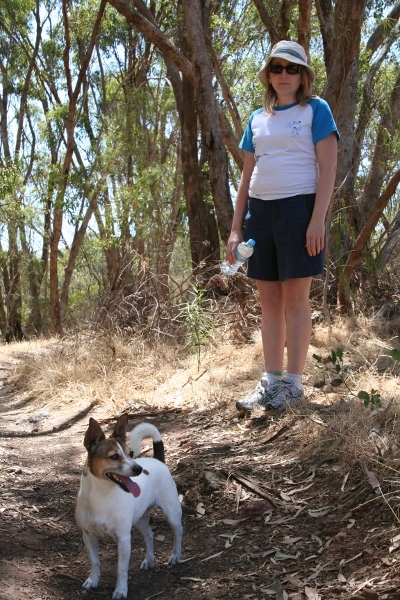 Briony can't make big movements without feeling uncomfortable however she is still trying to get out for slow, easy walks as much as possible. For the last few weeks our baby's been experiencing what Briony calls hiccups. Basically just a fast and repetitive movement in the belly - a little different to a kick, more like a jolt, but lots of them in a row lasting for 5-10 minutes. The books we've read do refer to this, suggesting the baby is doing "practice breathing" which results in the intake of fluid, causing a hiccup-like reaction. Strangely the hiccups always happen at the most inconvenient times but Briony tells me it's not uncomfortable. Last Monday I went to a birth information session called Beer & Bubs. It's aimed purely at males, and it's held at a pub. 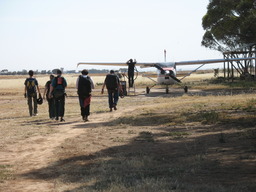 The cost was $50, and included the informations session + a pub meal, we just paid for our own drinks. It was very worthwhile being there, and the two ladies (Paula and Helen) that ran the class are both Doulas. For those that don't know, Doula is the Greek word for "woman servant" - referring to a woman who is there to provide support during the birth. Basically a Doula gets paid to hang around during labour and/or birth, provide physical/emotional/spiritual/whatever support, tips, massage etc to make the birth more comfortable. They simply do whatever makes the mother-to-be feel better. We had Helen Hriskin from Belly, Birth and Beyond round to talk to us about her Doula services, she was one of the presenters at the Beer & Bubs night. 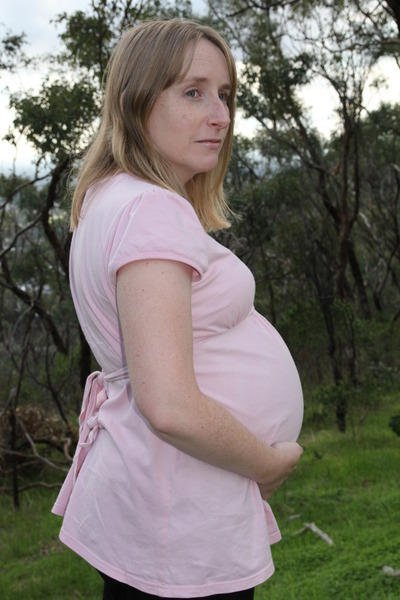 The Doula services are $750 which covers phone support between now and labour, two home visits before labour, attendance during all labour and birth and then two home visits after birth. We both think it's easily worthwhile. Briony and I both would like a birth that's as natural and drug-free as possible, although we understand things may not go according to plan. Helen's Doula support isn't about medication as she's not a doctor, but rather to help Briony be more comfortable and more secure in her decisions (plus to be there when I start freaking out and crying). 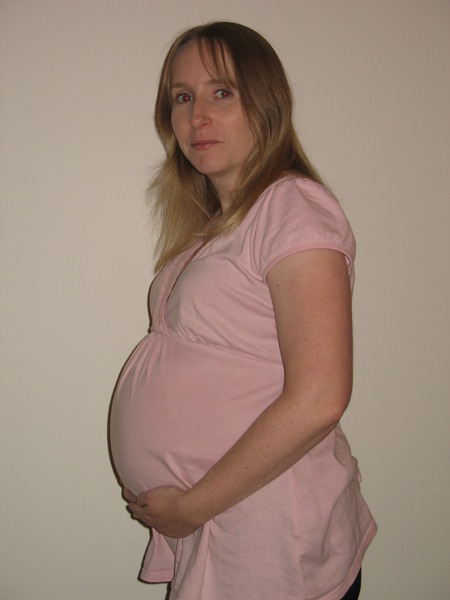 For example if the hospital starts talking about having the birth induced or about an episiotomy, Helen can explain to Briony what the implications are, remind Briony that she has previously said she does not want these procedures, and provide the moral support to remain strong and keep our birth as much to plan (our plan being natural, not medical) as possible. I should probably clarify something here, as I've heard a few funny comments from other people about this stuff. Helen isn't a hippy. We're not hippies. We don't have anyything against hippies. We're not freaky alternative and we're not from the jungle. We're not obsessed by water birth or crazy rituals. All this stuff about "natural birth" only means we would ideally like Briony to give birth to our daughter with as little artificial (medical) intervention as possible. We believe that women are designed to give birth, and while sometimes medical procedures are unavoidable we'd certainly like to avoid them unless absolutely necessary. Briony's main fear is Caeserean ... you might not know that Australia has one of the highest Caesarean rates in the world - almost one in three. The belief is that many of these aren't necessary, and are just done to "keep procedure" or by the doctor being over-cautious. Anyway enough about that - if you want to read more of the stuff we've read, it really is quite interesting, just Google "cascade of intervention". So anyway, Briony went to the chiropractor yesterday for a quick checkup. 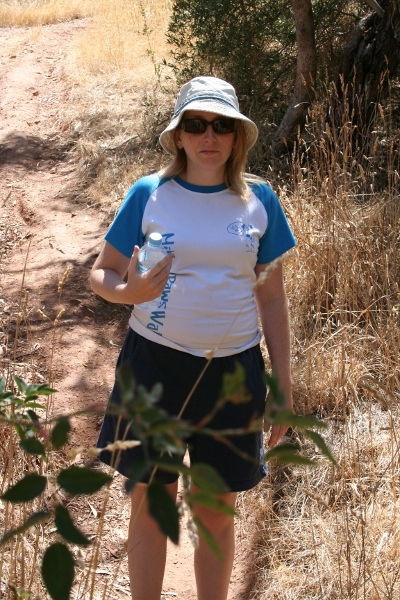 They reported that Briony's hips are all out of whack which could cause all sorts of pain and also birth difficulties. This is also quite likely responsible for some (if not all) of her pelvis pain. Briony's booked in for two sessions next week, I suppose they're going to bend her back into shape! Baby Daughter's a bit quieter now, according to the books she spends 95% of her day asleep! During that other 5% there's be a few kicks, a few bangs and perhaps some hiccups. This Saturday we had the first of three "ante-natal" sessions at Flinders Hospital. We weren't sure what to expect - some friends had told us that the hospital classes were a little slow and long, and on television we'd seen these classes depicted as group sessions where the men talk their birthing partners through all the breathing. The fisrt session was with a midwife in the Women's Health Clinic, there were 5 or 6 other couples there with us. The session was about labour and birth, with information about the process, pain relief options, common interventions etc. Given the books we've been reading, the session was okay but didn't tell us anything we didn't already know. Thank heavens for the cafe outside that served awesome coffee! 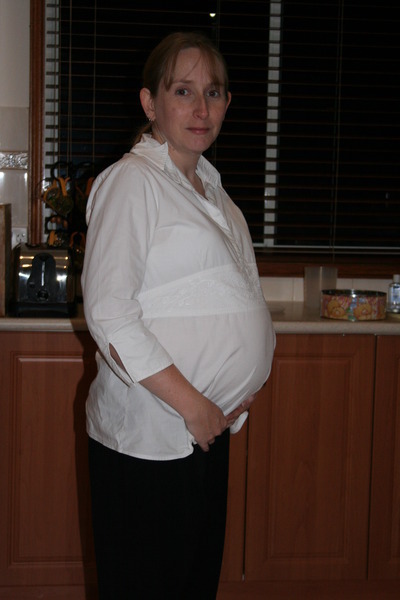 There's been something new with Briony's wonderful body every week during the pregnancy. The last few weeks have been a bit difficult for her as her pelvis has been all wonky and that's been causing a lot of trouble moving around, not to mention causing a lot of pain. I mentioned earlier that Briony had been to the chiropractor. Briony's initial comments were that the Chiro was a joke. Apparently the Chiropractor had this tool that "flicked" at Briony .. literally no more pressure or impact than a person flicking with their fingers. Of course we both had a good laugh, but after three Chiro sessions Briony said she was actually feeling better. 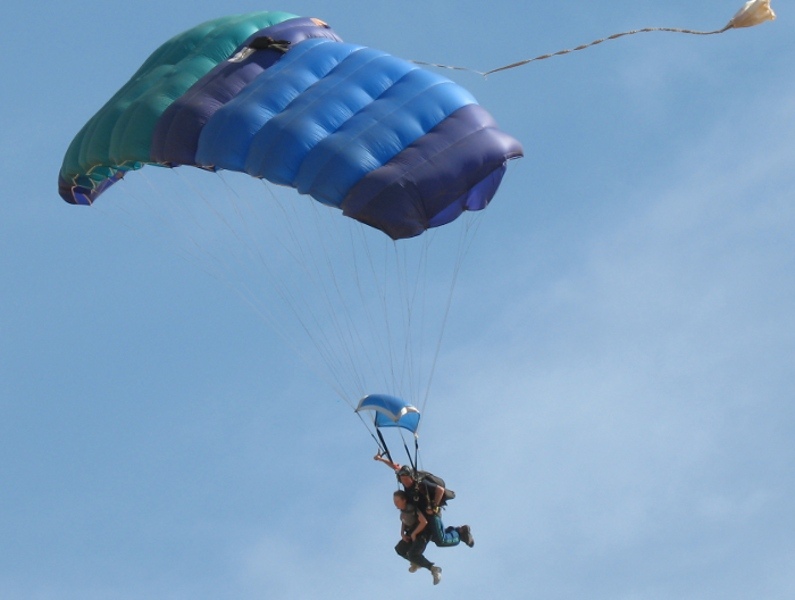 Her pelvis wasn't as sore, and she could move easier. We still don't know what the "flicking" was, but if it helps, great! 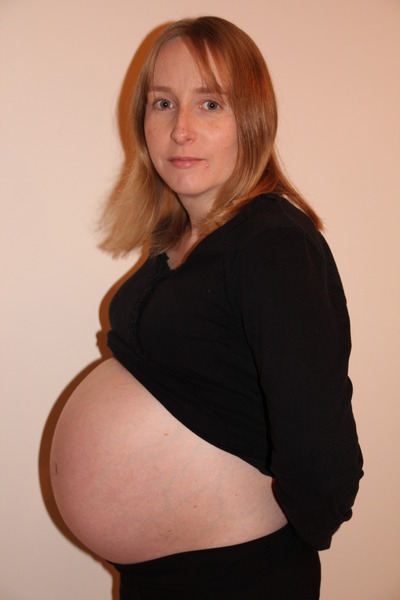 I suppose I don't need to mention that Briony's now thirty-five weeks pregnant, and SHE'S HUGE!! I've grown accustomed to her with the big belly, but every time she takes a shower and I see the baby bump, it looks like it's double the size it was the day before. There really can't be much room in there any more! The latest issue Briony's having is the itching. Absolutely no idea what causes it, but she's itching and scratching and rubbing herself like there's no tomorrow. Just like the pelvis thing, Briony's been online and come up with this preoccupation about some disease that affects 1 in 100 women - they get the itching and it's a liver thing and she's going to have to be induced two weeks early to avoid having a stillborn baby. But then again, perhaps she's just itchy and there isn't really anything wrong. Either way, a bath with half a cup of bicarbonate of soda seems to help. We've also picked up some lotions from the chemist, I'll post some information later as to how well they work for Briony. We had the third (and final) baby class at Flinders Hospital this week. The classes were actually quite okay ... perhaps not so informative for us as we've been to several classes and read HEAPS of books, so we sort of know most of the stuff anyway. This week's class was about baby care. The midwife gave us a stack of information relating to keeping the baby comfortable and safe, the right way to put it to bed, dress it, etc. She took us up to "Ward 4C" which is the post-natal ward, where a new father was waiting with his baby. Him and his partner were about to take their new baby home, it just needed one last bath. So the midwife bathed the baby in front of us all, showing us the best way to hold the baby in the water. Following the bath, we had a talk about breastfeeding, and followed it up with a video from the Australian Breastfeeding Association. The video was a little dated and tacky in parts, but overall had a lot of very good information. Our baby's still healthy, but this week all our planning went out the window. Briony went to the doctor last week, as the itching wasn't getting any better. In fact it was just getting worse. She'd been doing some digging online and found this problem called Cholestasis of Preganancy. Naturally we didn't pay too much attention to the specifics, as we know that using the Internet for medical diagnoses is a bad idea. But once Briony mentioned the itching to her GP. she immediately had bloody taken which was then sent to the hospital. This was at the start of Week 35. 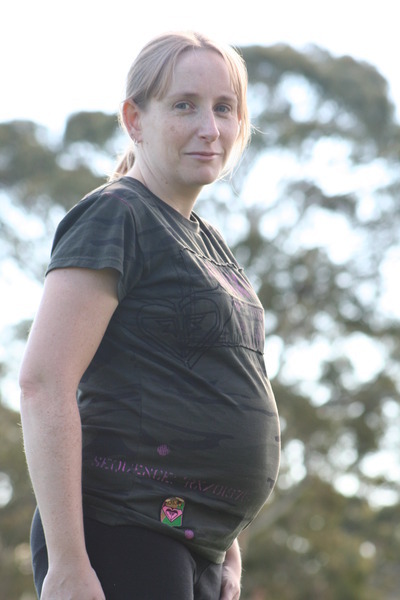 Her doctor wasn't available later in the week to give the results, however one of the other doctors at that clinic referred Briony to Flinders Medical Centre (same place we will be birthing) for a more thorough blood test and also a Bile Acid test. Briony and I went to the hospital on Wednesday morning to have the blood taken, went to the Red Cross to organise the baby capsule for the car, then spent some time tidying up at home. I'd taken the whole Wednesdsay off, as we also had a midwife's appointment in the afternoon. 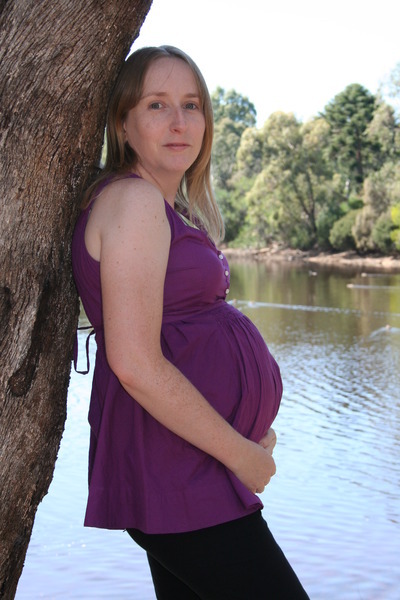 We went back to Flinders Medical Centre at 4pm for our midwife's appointment. 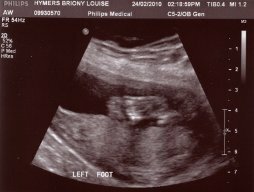 The midwife spoke with us and put a monitor on Briony's belly, and also told Briony off for not having her iron tablets! She was telling Briony "if you're a big red meat eater..." at which time Briony said she's vegetarian, which caused her to be told off again! While we were in the clinic, the midwife got a phone call from the Birthing & Assessment department. We went upstairs with the midwife, waited a few minutes, and then were called over to discuss some things. It turns out the results were in from the blood test we'd had that morning. Actually what's really funny - the midwife hadn't been told about Briony's blood tests at all, but we assumed she knew all about it. So Briony got told off AGAIN for not mentioning the whole itching thing!! 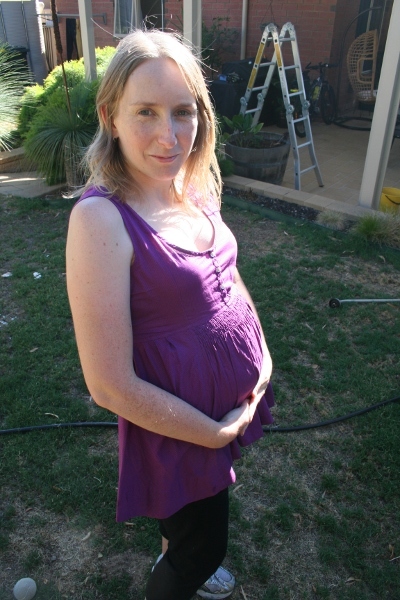 The results weren't alarming, but Briony's Bile Acids were a bit high, so the midwife has told us that we'd need to come back and see another doctor, and would more than likely be induced next week (Week 37). That was it for the hospital that night, so we headed for home. The moment we walked out the door, Briony burst into tears. Like I said above, everything with the baby is OK - it's the right size, the heart beat is strong, it's healthy. But having to be induced 3 weeks early is a bit of a shock to us, especially since we'd been to all those natural birth classes and learned all about the internevtions we didn't want to have. On the Friday morning we went for the appointment with "the other doctor" who took Briony's blood pressure and listened to the baby's heart. She booked us in for the induction of labour, which was all done quite casually and politely but also felt a little blase compared to how we were feeling about the whole thing. This doctor also did an internal examination on Briony, which Briony wasn't too thrilled about! 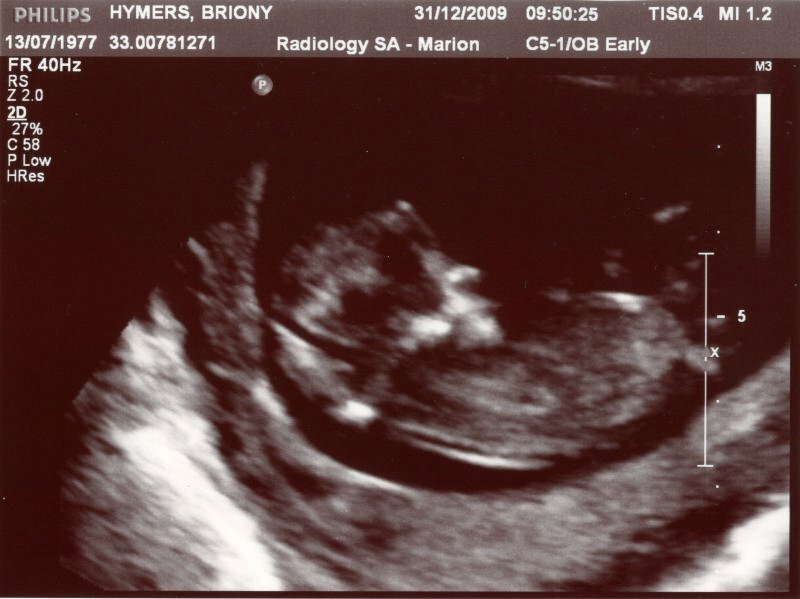 I still feel guilty that we're going to have our baby 3 weeks before she's ready, especially when there's every chance that everything will be perfectly OK if we just let nature take its course (Briony's Bile Acids are elevated, but not by a lot). The problem is, Bile Acids are toxic to the baby's heart, and can go from elevated to toxic in as little as three hours. So our baby could be fine at breakfast time, but in a lot of trouble by lunch time. Briony's also vert frightened of the "Cascade of Intervention". She knows that induction often leads to Syntocin drip, which means epidural, which means failure to progress labour which ultimately leads to caeserean. That's not always true, but it's a slippery slide. So we're going in at the start of Week 37. Briony's going to have Prostoglandin Gels at night, so help soften up the cervix. Then she'll have her waters broken a day later, and we wish upon a shooting star that labour will start by itself. If it does, Briony's going to try to stick it out with little or no pain relief but of course we know we'll never know how it'll go until we're already there. We just need to do everything we can to avoid the Syntocin - this is the hormone that brings on contractions, but as it's artificially administered it brings them on suddenly and strongly, to such extremes that the mother will NEED pain relief, and also the extreme contractions can cause the baby to become distressed (this is when the doctor says "emergency caeserean", when it's an emergency brought on by interfering with the mother's body). So anyway, we've had a pretty crap few days. We're not depressed or anything, just more coming to terms with the new schedule, and also overcoming the feelings of guilt that we're going to disturb our child without warning. The weekend just gone was spent madly preparing the house. Well not that madly, as we were actually fairly well-prepared, it's just a mater of sorting some clothes, having a general tidy up, and making sure the house is clean. At the end of such a long post, it's be nice to have some good news. Well the good news is that Briony's healthy, and looking absolutely wonderful (even though she thinks otherwise). We went to Windy Point for some photos yesterday, she really is looking lovely.